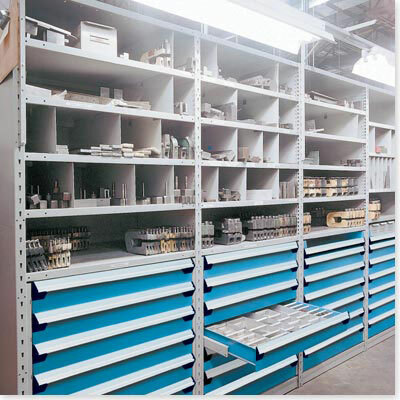 Several companies make steel shelving in both open and closed styles. Open shelving has no side or back panels, leaving all sides ‘open’ to access. Closed shelving has side and back panels, enclosing stored objects into a ‘limited access’ area. Both styles have their pros and cons depending on what you’re storing. 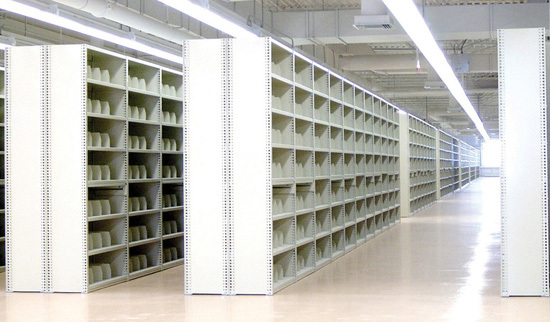 Closed shelving offers greater overall stability and a more finished appearance. Open shelving often requires cross braces on the sides or back to give the shelving more stability and to reduce sway as the shelves are loaded. Open shelving also offers choices in decking materials, whereas most closed shelving has steel decking for shelves. Steel shelving makers like Rousseau took a different look at steel shelving and saw the possibility of turning it into specialized storage centers. They added modular drawers that fit into the shelf spaces to create work and storage centers for small tools and parts. Then they combined these modular drawer shelving units with typical open and closed shelving to create ‘storage walls’ to organize an entire workstation or type of parts. This made it possible to mix stored objects of different sizes but similar function in one consolidated area – reducing time and steps needed to retrieve elements of the same type. The next aspect of steel shelving looked at was load capacity. What could be done to bridge the capacity gap between shelving and pallet rack? Build a sturdier steel shelving with beefier frames and shelves. This style became mini-rack shelving, spanning the storage needs for heavier but smaller items. From tools & die to partial pallet loads, mini-rack offers exceptionally high capacities in a typical shelving footprint. Others thought of ways to divide and conquer the steel shelving space – literally. They devised various ways to segment the shelves with stationary and movable dividers or with shelf bins. By doing so, they opened the door to specialized storage space consisting of individual compartments for stored items. Now shelves could be labeled and items would have specific locations to be stored in, reducing the chance of erroneously picking up the wrong part. With all these choices in how to use your steel shelving, it becomes a much more desirable tool in addressing storage needs. 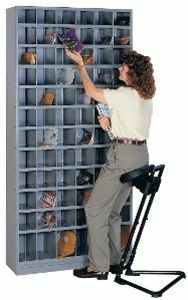 Augment with modular drawers, dividers or bins and you begin to segment stored items into more useful units that increase accuracy in pick rates, assembly, and repair. These all add significantly to the bottom line of your balance sheets at the end of the day. Being aware of options and alternatives is smart.